Mark Lowrey, Therigy’s Chief Financial Officer, is responsible for overseeing all of the company’s financial functions, including strategy, banking, and financial reporting. Mark has more than thirty years of accounting and financial experience, much of it with fast-paced entrepreneurial companies. 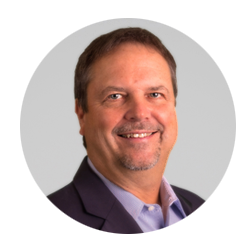 Before joining Therigy, Mark was a Senior Director at RVR Consulting, a growth management firm. Mark has extensive experience using early stage capital, bank debt, venture capital, and private equity as funding tools to support rapid growth and business expansion. Mark was part of the initial founder/investor group at CoAdvantage Holdings, where he served as CFO of the holding company. The group founded and built CoAdvantage—one of the ten largest Professional Employer Organizations in the country, ZeroChaos—an industry leader in contingent labor solutions, and Plansource—now a large player in the online benefit education and enrollment space. Mark spent his initial professional years with Deloitte and PNC, holds a BS in accounting from Grove City College, and an MBA from the Katz Graduate School of Business at the University of Pittsburgh.